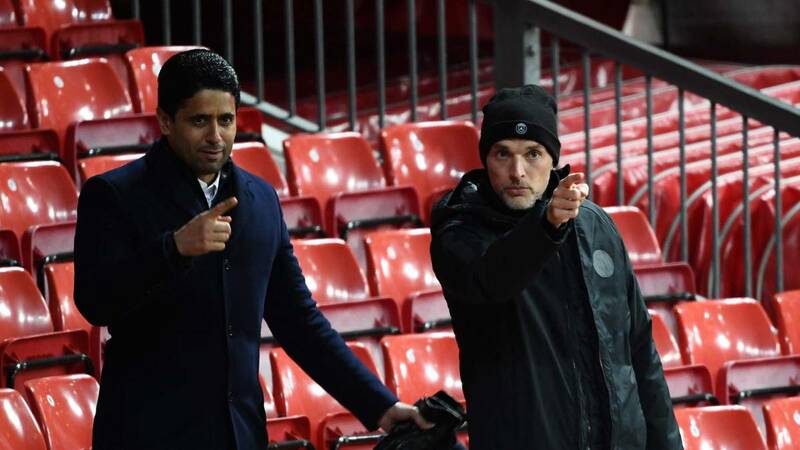 Home Soccer Tuchel closes the door to Rabiot: "It's impossible"
Tuchel closes the door to Rabiot: "It's impossible"
The PSG coach believes that the French midfielder's stage is practically closed. It is on the agenda of clubs like Madrid or Barcelona. Technician of Paris Saint Germain says that the club is going through a delicate period but that it is not dangerous. He has also closed the door to Rabiot. The situation is complicated by the absence of important names in the team and this is confirmed by the coach at a press conference and then answer the questions. At this point and after a painful defeat, is it better to play as fast as possible? I do not know. Honestly the moment is difficult: the group is tired, we have too many injured players, we are looking for the answer in the training and we must find the solution because that is our job. Do you feel anger with the press that speaks more of the results than of the casualties? There is no need to be, this is football, we almost always won and that custom was created, we are a small group with responsibilities and the obligations are now greater. The campus is fatigued physically and mentally, there are situations like these but not to be angry, we lack key players. I and the staff are convinced that on equal terms with Lille we were prepared to win or draw but the circumstances of the game change things . Is the most difficult period you live in Paris Saint Germain? It is a particular moment for the need to confirm the title faster and it has not been possible. It happened to us with Strasbourg and now with Lille, but we are confident. There are always obstacles and we must be careful to continue on the right track. This hécatombe in the team can lead to change the structure of the game? We have touched on this issue but in football it is very difficult. We always maintain our principles, we can not change our way of playing and less at this point change our esteem, that would be a negative message and distrust towards the players. We have too many casualties but it will not force us to vary. How do you see Neymar? Within what period will be available? Ney is very well, works collectively with the team and is part of the group in training. His desire to play is noticeable but we must wait for the right moment even if he wants to enter as fast as possible. You said you need to incorporate between 3 and 4 reinforcements. Do you have the positions you want and some names? I know exactly the positions, also the profile I want, for the moment we have to see if it is possible to get them. It seems to be living a crisis in PSG? Yes this was crisis I take the same method in the coming years, with 17 points of advantage. The club is going through different stages, these are delicate passages because it is the routine to see us win very often. Sometimes it is complicated by the circumstances, the players who return from the truce with their teams, we work with a group of 14 players, the atmosphere is not the same but we have to improve and there is nothing else. Ante so small cash Do you plan to have Rabiot or consider the guys in the training? Rabiot is something impossible. Maybe we are going to bring young players, we have considered some to train, that we will see later.